The Institut européen en sciences des religions (IESR) is a center of expertise and advice on current and historical issues involving secularity and religious questions. Formed in 2002 as an institute within the École pratique des hautes études (EPHE), its mission is conducted under charter oversight by the Minister for Higher Education and Research. 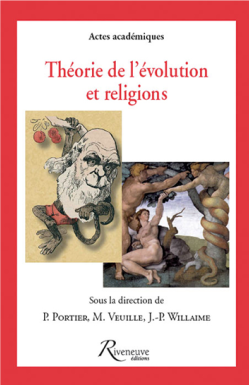 IESR was created in response to Regis Debray’s report in 2002 titled L’enseignement du fait religieux dans l’école laïque (Teaching about religion in secular schools), which advocated bringing together the necessary resources to “match educational methods with scientific research”. For this purpose, IESR provides key support in the provision of teaching about religions in primary and secondary schools. In collaboration with the French Ministry of National Education, universities and ESPE (teacher training schools), the Rectorats d’académie, as well as education inspectorates, IESR organizes initial and ongoing training programs for National education personnel. The training programs, which are conducted in a secular framework, assist in adapting teaching methods to varying subjects where religions are discussed (History, Geography, French, Foreign Languages, Philosophy, Social and Economic Sciences, Art class, History of the Arts). IESR collaborates with a number of public bodies to carry out its mission. These include government ministries such as Foreign Affairs, Culture, Interior, Justice, and Labor-Employment-Health, as well as State cultural organizations such as the Louvre Museum, Institut du monde arabe (IMA), Musée d’art et d’histoire du judaïsme (MAHJ), Bibliothèque nationale de France, Musée Guimet, Musée de l’histoire de l’immigration (MHI) and Musée du Quai Branly. The three monotheistic religions (École nationale de la magistrature). Since 2015, IESR coorganizes an undergraduate course of studies with the Faculty of Law Jean Monnet (University Paris Sud) titled “Religions and the Republic. Law – Societies – Religions, which provides accurate information concerning the historical and juridical frame of the relationships between religions and the State in the French society. Introduction to the great religions – e.g., Islam: founding texts, law, diversity and practices; Gods and goddesses in Mesopotamia; Holy days of the Talmud and Jewish mysticism; Buddhism, etc. Fundamental texts – e.g., The Koran; Qumran: The mystery of a site and the Dead Sea Scrolls; Introduction to the Bible; Jeremiah, prophet of doom, etc. Secularity and contemporary issues – e.g., French “laïcité”, European secularity; Case law of the European Court of Human Rights regarding religious freedom, etc. Anthropological approaches – e.g., Introduction to religious anthropology; Popular rituals and religiousness in the Americas; Deities, rituals and religious spaces in Black Africa, etc. Historical and sociological approaches – e.g., Religions and citizenship in Antiquity; Jerusalem; Constantinople; Europe and Christianity, etc. Cultural approaches – e.g., Music and religions; The St John Passion by Johann Sebastian Bach, etc. Philosophy and religions – e.g., Hannah Arendt and Christianity; Religions and violence; Nietzsche and religion, etc. IESR draws on ongoing scientific research activity at the EPHE to publicize current projects and disseminate knowledge. It co-organized several conferences, including : Religion and Politics in Asia (Paris, 2005); Enlightenment, Religions and Secularity (Nancy, 2005); What Future for Christians in the Orient? (Paris, 2007); Religions and Colonization (Paris, 2007); Theory of the Evolution and Religions since 1859 (Paris, 2009); Religions and Sacredness in Revolution since 1789 (Paris, 2011), The Expression of religion in the public sphere (Paris, 2015). IESR’s website www.iesr.fr provides a digital library to educators: fact sheets on textbooks prepared for school curricula; analyses of curricula; textbook reviews; teaching dossiers. In partnership with various publishers, IESR offers several publications for the teaching profession, including : History of Islam (La Documentation française, 2007); History of Judaism (La Documentation française, 2008); History of Christianity (La Documentation française, 2009); Teaching about Religions (Armand Collin, 2007); the collection Récits primordiaux (Founding Religious Stories, La Documentation française). IESR also partners with organizations such as IISMM-EHESS (Institute for the study of Islam and Muslim societies), CERI-Sciences Po (Center for international studies and research), and IRIS (Institute of strategic and international relations) to provide jointly organized seminars and training. IESR hosts monthly panel discussions called Les mercredis de l’IESR, where latest publications are debated in the presence of authors, with participation by the audience. IESR has put in place a European network to study and compare developments in legislation and public practices involving religion within Europe, with an emphasis on teaching and education. Through this network), IESR participated in the three year multilateral research program on Religion and Education in Europe, known as the REDCo project, which associated universities in eight countries (Estonia, France, Germany, the Netherlands, Norway, Russia, Spain and the UK) over 2006-2009. 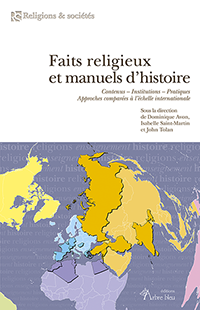 Research findings for France were published in L’école, les jeunes et la religion, eds. J.-P. Willaime and C. Béraud (Bayard, Paris, 2009). These findings were also detailed by country in the many volumes of the collection, Religious Diversity and Education in Europe (Waxmann, Münster). In addition, IESR has been involved in two other European projects: IERS from 2013 to 2016 and now SORAPS from 2016 to 2019. The IERS (Intercultural Education through Religious Studies) project carried out 20 digital training modules on the great religious traditions, and the plurality of beliefs, for teachers and pupils from the various European countries. These modules can be accessed at http://iers.unive.it The SORAPS (Study of Religions Against Prejudices and Stereotypes) project will clarify stereotypes about the main religions and the different religious communities and will produce training modules to help teachers analyzing with pupils these stereotypes. IESR’s European network convenes every two years by organizing study days to compare various systems and models represented in Europe, as well as in Quebec.